Choosing new HVAC equipment is a major decision that deserves lots of thought because it’s one that has long-term repercussions in terms of your comfort, energy bills, potential repair costs and expected lifespan. To help you make the wisest choice, it’s good to learn about common buying mistakes and how to avoid them. Buying equipment that isn’t sized properly for your home can have undesirable consequences, including unnecessarily high energy consumption, poor temperature and humidity control, compromised reliability and a shortened service life. You can prevent these issues by having your chosen HVAC contractor determine the right equipment capacity for your home with a detailed load calculation. Using the lowest price as your main criteria when choosing new equipment and who installs it can have unexpected costs in the future. If you opt for the cheapest equipment, it will likely be the least efficient available and cost more to operate over its lifespan. If you pick the contractor who gives you the lowest bid and the installation quality is poor, the equipment may not perform well or last as long as expected. When you’re buying a new heat pump, air conditioner or furnace, you have an opportunity to maximize comfort and energy savings by comparing different models that fit within your budget. 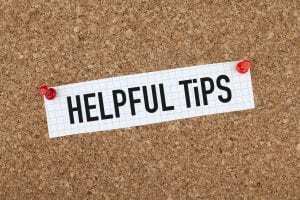 Your HVAC pro is your best source of advice on the benefits of advanced options like two-stage compressors, ECM motors, variable-speed air handlers and smart controls and can also help you weigh efficiency ratings versus potential energy savings. For your new HVAC equipment to stay working efficiently and reliably over its service life, it needs regular preventive care. Opting for a preventive maintenance agreement with your installer is a hassle-free way to keep the equipment in top condition, and it can also ensure that you meet the manufacturer’s maintenance requirements for warranty coverage against factory defects. For more advice on how to avoid buying the wrong HVAC equipment for your Orlando-area home, contact us at Rinaldi’s Energy Solutions.